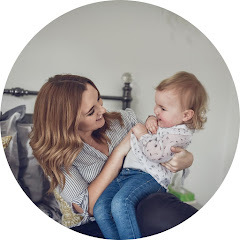 I'm 23 years old, from Lincolnshire and about to become a Mummy for the first time in early April, I started this blog a while ago as "Becka's Beauty Blog" but recently re-branded to "Becka Shepherd" so that it could evolve and change as my life does. I now cover a wide range of topics such as Pregnancy, Weddings, Fitness and of course my original favourite, Beauty. From time to time I featured products that were gifted to me, these are always marked with an * however all reviews are always 100% honest and as I would want to read from one of my fellow bloggers. hey i was just wondering, on twitter when you ask companies who they can get in touch with so you can work with them, what do you email them saying? I was just wondering because I really like working with other brands but i just can't find a way to contact them other than emailing them myself however i have no idea what to say!